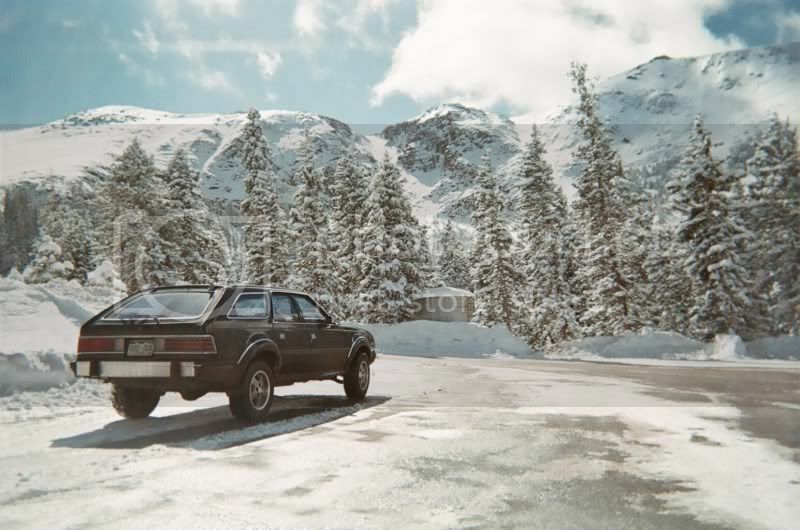 This is an old pic of my 83 Wagon entombed in the snow. This was in November, by the time May was here it was under 15 feet of snow and was completely burried. It took 3 pulls with a 4WD Dodge 3500 Diesel dually and out she came. After she came out there was an imprint of the car in the snow on 3 sides and it shredded the rear tires. Very cool. I've seen a few vehicles buried like that before. Not in my area, but in the Upper Peninsula of Michigan. Where was this located? Your profile doesn't have your location, so give us a hint where this was. Something tells me it wasn't in my neck of the woods, or Trapperjack's either. Nope, the only things shredding tires around here are rocks or mesquite thorns. That picture is about 12 years of snow here. Not like anything I have seen around here. Forgot to post the location. The pic was taken in Leadville, Colorado. By the time it was over the snow was level with the garage roof. That's a lot of snow. Do you clear the roofs of your buildings withthat kind of snowfall? I'm not sure how I'd even attempt such a thing. We get snow here. 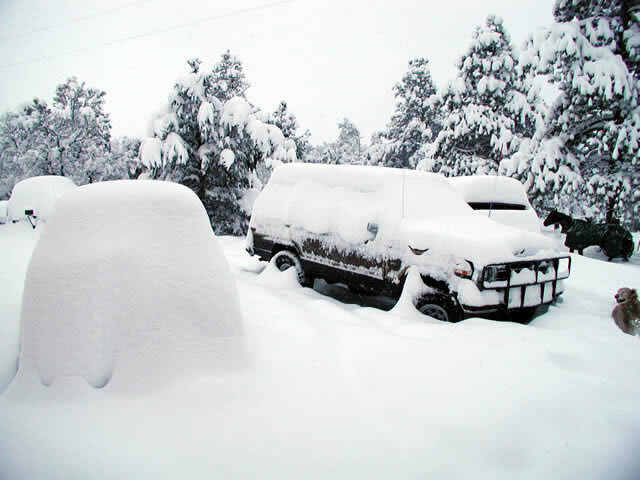 We got 10" just last - uh - January 27, 2000. We've even had 1 or 2" on rare occasions since then. Gil thought snow meant he had poor TV reception. Most of the time you'll hear a sound like thunder or a freight train then whoosh the driveway is blocked! At work we used 12guage LTL flash bang rounds to clear cornices in areas of high pedestrian traffic. The resorts use mortars and recycled Navy guns to clear the mountains first thing in the morning. It really is something to wake up to! Nice Sean! We feel your pain. The lump on the left was our subaru. So you are trying to make me believe that there are more then one vehicle in the picture. LOL! Yeah - I believe there are 4 vehicles in that shot. This is from the winter 06.